If you shop at Amazon, now your purchases can be generating donations to ALRP! 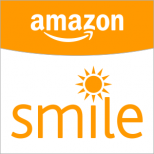 Simply visit smile.amazon.com, select the Your Account link in the Your Account pull down menu near the Cart (upper right corner), then click on the Choose/Change your Charity under Account Settings and select or type AIDS Legal Referral Panel.That’s it! Shop at over 900 brand name stores, including Amazon.com, 1-800-Flowers, Barnes & Noble, Best Buy, eBay, Expedia, GAP, HSN, Lands End, Nordstrom, Overstock.com, QVC, Target, Travelocity, and many more. Simply sign up at www.IGive.com/ALRP. Then shop at your favorite online store and the donation to ALRP is automatic. Up to 27% of the value of your purchases will be donated simply for doing what you love – finally…guilt-free shopping!. Until There’s A Cure has been a long-time supporter of ALRP’s free legal services for people with HIV/AIDS. 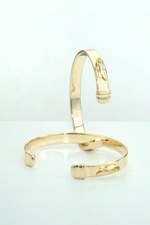 This year, they are donating 30% of the proceeds from every 14k Gold Bracelet purchased through their site. You’ve seen their stylish bracelet everywhere. Get one for yourself today! To purchase, visit Until There’s A Cure. During checkout, please indicate that you were referred by AIDS Legal Referral Panel (our name is in the drop-down list of referring partners). Cole Hardware has been servicing the San Francisco community since the 1920s. They became the first Green Certified hardware store franchise in the nation, and are currently they part of the ACE Hardware family. From paint to tools, they have everything you need for your home or office projects. The Cole Hardware Stores are open from 8am-8pm daily. Please mention AIDS Legal Referral Panel and Code *114 at checkout, so ALRP will receive credit for your purchase. For more information, visit www.colehardware.com. Shop for a cause – ALRP!